New paddle boarding series hits the Alabama Gulf Coast. This event, hosted by Gulf Coast Paddle Company, is the 2nd race in the series. The series features demos, a sponsor village, clinics and much more. Come join in on the fun and help support local charities, the Mobile Baykeeper and Childrens of Alabama. We are pleased to have you coming to Gulf Shores/Orange Beach for your event. We hope to see you at one of our over 70 properties that offer you a variety of amenities, floor plans and warm southern hospitality – you’re sure to find just the right place! We offer 1-4 bedrooms; gulf front or quiet back-bay properties to choose from. Give us a call and plan your stay with Brett/Robinson in Gulf Shores or Orange Beach this year! Rate Restrictions: Offer not valid on line. Rates are subject to availability and may change at any time; some restrictions may apply and discount can not be taken in conjunction with any other offers. When using our 888-633-7101 number to book at our hotels, please use group code 1477816 to receive discount. Buses, RVs, and trailers are required to call ahead for parking arrangements. Stay with a Team that’s Dedicated to Your’s and SAVE 20% on your stay! Use Code: KAISERSPORTS20 to secure your accommodations through our easy online booking process. From one bedrooms condos to homes accommodations up to 42 people with ease, find your perfect property with Kaiser Realty by Wyndham Vacation Rentals today. Rates start at $233.00 per room, per night. To receive special rates please mention Booking ID 16597. 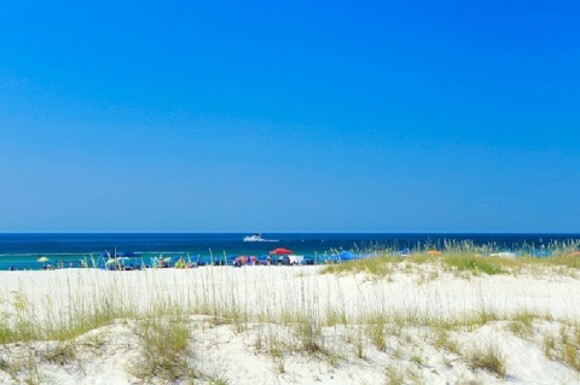 Perdido Beach Resort is the only full service resort located directly on the sugar white sand of Orange Beach, Alabama. Amenities include private balconies, refrigerators in all guest rooms and microwaves on each floor. FREE Parking, FREE Wi-Fi, and FREE Daily Housekeeping Service. Restaurants include the Perdido Beach Pizza Company, Splash Bar and Grille, Latitude 30 and Voyagers. Indoor and Outdoor pools, FREE Fitness Center and much more. Recreational activities within walking distance include a private dock for chartered excursions, restaurants and shopping. Harris Properties is excited and proud to welcome the 2019 Lobos Locos Paddle! We are eager to offer a variety of premium accommodations, including the Orange Beach Villas. This is a quiet community of 3 bedrooms 2 bathroom townhomes. These units offer an outdoor pool, community meeting room, stocked fishing pond, gazebo, front door parking, ground floor units (no elevators!). Each townhome unit features ceramic tile floors throughout, a full sized washer and dryer, complete kitchen, and patio with a charcoal grill. Orange Beach Villas provide a very convenient location to sporting venues and area attractions: bath house. Less than a half mile to the Orange Beach Sports Complex. One mile from The Wharf, featuring: a movie theater, restaurants, coffee shops and terrific shopping. Less than 7 miles from the Gulf Shores Sports Complex. Only 4 miles to the Cotton Bayou Public Beach; free bathhouse and outdoor shower. Rate Restrictions: Quoted rates do not include pet fees. Guests associated with the Gulf Shores and Orange Beach Sports Commission may enjoy a 10% discount to any of our posted rates on all participating accommodations. Some restrictions will apply. Subject to availability. Rates based upon availability, if you need 5 or more rooms per night, please call the hotel direct and ask to speak with Sales. Nothing is better than paddle-boarding along our gorgeous Gulf of Mexico with a magnificent panoramic view of our sugar white shores! It is out pleasure to welcome all Paddle Boarders to our beautiful beaches of the Alabama Gulf Coast. Located directly on the beach, all of our spacious guest rooms feature a private balcony, mini fridge, microwave, Keurig coffee maker, iron, ironing board, and hair dryer, complimentary wired/wireless high speed internet, indoor/outdoor pool, 2 whirlpools, guest laundry facilities, 24 hour complimentary business center, and onsite fitness center. Rates are subject to rooms (standard inland with 1 king bed or 2 queen beds) availability and taxes. When making reservations ask for Group Code “SCR” or book your entire team online by clicking the link below. Contact Group Sales at hotel with questions. Rate Restrictions: Rates based on availability and subject to change at any time. Rate subject to 13% tax per room/per night and do not include premium or Beachfront rooms. Please Use Group Code “SCR” at booking. We're having fun at the Holiday Inn Express Orange Beach and it is our pleasure to welcome all Paddlers to the beautiful waters of Alabama Gulf Coast beaches. Located directly on the beach, all of our spacious guest rooms feature a private balcony, mini fridge, microwave, Keurig coffee maker, iron, ironing board, and hair dryer, complimentary wired/wireless high speed internet. We also have an outdoor pool, whirlpool, guest laundry facilities, 24 hour complimentary business center, onsite fitness center and beachfront poolside bar (seasonal) When making reservations ask for Corporate Code 100224694. For groups of 10 or more, contact the Sales Manager, Leslie Haley at the hotel directly at 251-974-1634 or you can e-mail at [email protected] for the best rates and availability. Earn IHG Business Rewards Points! Earn 3 points per $1 spent within a group or meeting booking with no minimum qualifying spend to earn points! Please visit holidayinnexpressorangebeach.com or call 1-800-HOLIDAY and book. The Levin’s Bend condominiums at The Wharf in Orange Beach, Alabama are home to shopping, dining, the Southeast’s tallest Ferris Wheel, Carmike Movie Theatre, Miniature Golf, Ropes Course, Zip line, Laser Tag and year round live concerts in the 10,000 seat Amphitheater AND the Spectra Light Show! Amenities offered to guests of The Wharf condos include the on-site fitness center and The Oasis private water retreat, featuring a zero entry wave pool, the island’s largest lazy river, tiki bar and grill, hammock island, sandy volleyball, lush waterfalls, sandy beaches and a play area. Ranging from 1-4 bedroom condominiums, all overlook the Wharf Marina and Intracoastal waterway and are in walking distance to all of the property entertainment. Total includes all taxes and fees for a 3 night stay. There is 3-night minimum. Rate Restrictions: Subject to Availability. 3-night minimum. Rates Starting at $254.00 Enjoy the experience of a life time at the islands only Full-Service Hilton Hotel! From sitting on your private balcony over looking the sugar white sand and turquoise waters of the Gulf of Mexico to dining at our Full-Service restaurant. We provide Luxury in paradise, with our award winning culinary team and our touch of genuine southern hospitality. Join us in paradise and let's create memories that will last a lifetime!!! !